Description: This latest release is part of the brewery’s Explorer Series. It begins with dark roasted malts, and finishes with the infusion of Madagascar vanilla beans. This beer is also part of their Bounty series – alongside the Tasman Ale and Shipwreck IPA – as part of the breweries new look and structure. Tasting Notes: The addition of vanilla to this West Coast-style stout creates a well-balanced and smooth drinking experience. With the addition of chocolate and coffee notes, it wasn’t dissimilar to a Mochachino, or a Milk Stout with a hint of cocoa. And it certainly was an interesting departure for the Lighthouse Brewery, a fan of big flavor that usually involves hops! 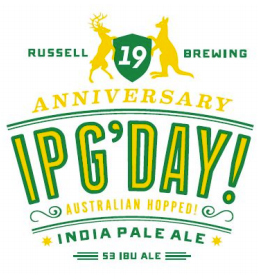 Description: Brewed in honor of Russell Brewing’s 19th birthday, this India Pale Ale pays tribute to one of their brewers – Scott Bohanna-Martin‘s – Australian roots, This they did by using Galaxy, Ella and Topaz hops that were grown Down Under. Tasting Notes: This was a nice twist on the conventional West Coast IPA. In many ways, I was reminded of a fresh-hopped IPA and an ESB, in that it packed some strong notes of herbs, citrus rind, grass and pine, but in a way that slightly dry and subtle. Despite the moderately bitter rating of 53 IBUs, it was quite hop-forward, and had a strong but smooth malt backbone. Description: This strong Belgian brown ale is fashioned using 7 different varieties of malts, a mixture of three kinds of hops – Belgian, German and Czech – and is brewed without any sugar. The end result is then double-fermented and unfiltered to create a malt-forward, strong special ale. Tasting Notes: This was a surprising experience, being very malty and sugary – despite the lack of Candi sugar in the brewing process. However, it was what one would expect from a strong Brown ale or a Belgian Dubbel. Basically, it was packed with flavors of dark fruit, brown sugar, and had a nice, smoky finish that reminded me of Christmas and figgy pudding. Another good intro to a previously-unknown Belgian brewery. Description: This fall seasonal comes to us from Nelson Brewing, located in BC’s interior. The brew combines pale malts with a dose of pumpkin and the usual spice palette – cinnamon, nutmeg, ginger, allspice, and cloves. And true to Nelson’s tradition, all the ingredients are organic. Tasting Notes: As pumpkin ales, this one has all the usual things going for it – pale malt, pumpkin flavor, and a spice palette that gives it that pumpkin-pie flavor. But unlike many other pumpkins I’ve had of late, this one was quite subtle and smooth by comparison. The malt and spice notes are all very well balanced and play well together. Description: This beer is part of Steamworks regular lineup and is brewed is a combination of Maris Otter, Caramalt, and Munich malts. It is then dry-hopped with Centennial , Celeia & Bramling Cross hops, infused with Jasmine flowers and fermented using Ardennes yeast. Tasting Notes: When I first drank this beer, what I immediately noticed was the sharp tang of Saison-style yeasts in addition to some Jasmine. I was encouraged to see that my taste buds were not off. In addition, the dry-hop flavor also comes through in the end, providing a nice citrus backing. Nevertheless, the overall taste experience is still quite refreshing and clean, which you might not expect from an IPA that has some serious Saison yeasts going on. I strongly recommend sampling this brew alongside other Jasmine IPAs, a style which is fast becoming popular here in the Pacific Northwest! Description: This is Phillips third annual fresh-hopped special seasonal beer whose release coincides with the fall hop harvest. This year’s is hopped using fresh Cascade hops from local farms to create a smooth drinking, slightly citrusy, and well-balanced India Pale Ale. Tasting Notes: This is my second time sampling Phillips Green Reaper, and this year’s is comparable to last year’s, but also has a few noted differences. For one, the malts were lighter in hue, and the hop palette was slightly different, packing more citrus and pine into the nose and flavor profile. However, it remains an overall subtle brew with gentle notes and an overall clean taste. 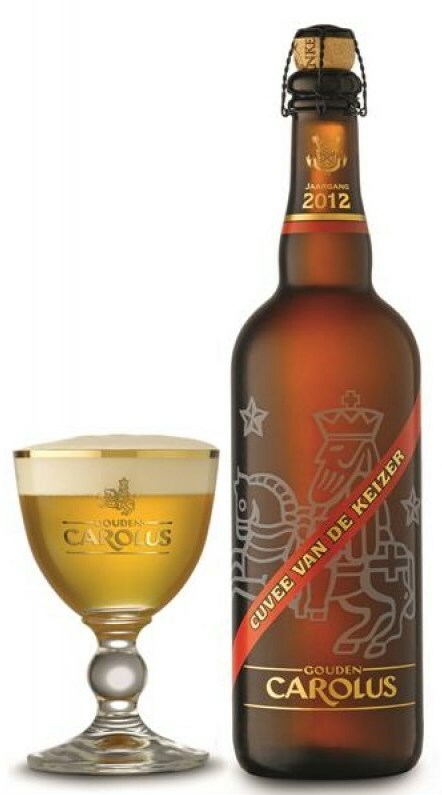 Description: Launched in 2008 on the 10th anniversary of the Cuvee van de Keizer Blauw’s release, this special blonde ale that contains added varieties of malt, an exclusive Belgian hop variety, and three kinds of herbs. Tasting Notes: As blonde ales go, this one was rather “special”. The strong malt, sugars, and yeasty notes are true to a blonde ale, but the infusion of herbs, notes of honey and fruity esters give it a flavor that is somewhat reminiscent of mead. It’s also very smooth despite its high alcohol content and diverse array of flavors. Definitely an interesting experience and a worthwhile buy!